A jam packed floor full of attendees, hundreds of exhibitors and industry experts, and an overall great time in the beautiful city of Las Vegas - Add that all up for a recipe of a fantasic trade show. 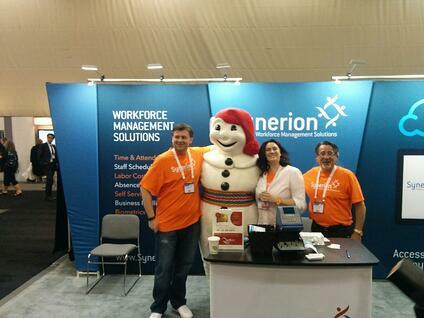 Synerion at the 33rd Annual Canadian Payroll Association Trade Show in Quebec City! Set in beautiful Quebec City, Canada - Synerion exhibited at the 2015 Canadian Payroll Association Conference and Trade Show which took place on June 2nd to the 5th at the Quebec City Convention Centre. Join us at the 2014 CPA Conference & Trade Show! 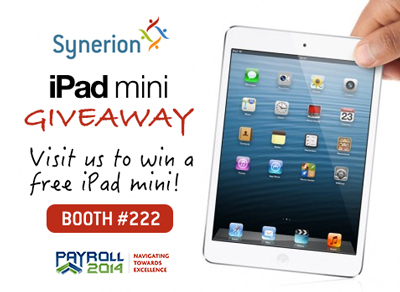 Synerion will be exhibiting at the Payroll 2014 Conference & Trade Show held at the Sheraton Centre in Toronto, Ontario. Be sure to visit Booth #222 on Wednesday June 18th and drop in your business card. We will be giving away a free iPad mini! 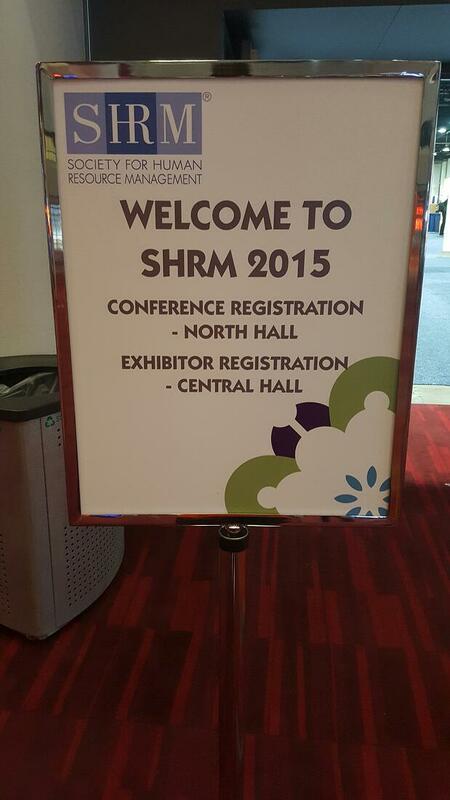 On January 22-24th 2014, Synerion exhibited at the Annual HRPA Conference & Trade Show in Toronto, Canada. We'd like to take this opportunity to thank everyone who visited and helped make the event a huge success for Synerion!